UPDATE: There is rampant speculation today that at tomorrow’s investor conference, FCA CEO Sergio Marchionne will announce the elimination of the Chrysler brand. It’s down to two models now — the 300 and the Pacifica — and it has essentially let Chrysler twist in the wind for years while Ford and GM have made some half-hearted and costly attempts to revive their luxury brands. At the New England Motor Press Association’s award ceremony last night, FCA picked up a handful of awards. At one point during an acceptance speech, the media assembled were informed to pay close attention to Marchionne’s announcement on Friday, because big news is going to come out of it. It’s been four years since “Chrysler” as an indentifiable corporation, has ceased to exist. The disappearance of the Pentastar was the first step. Chances are pretty good that we’ll be finding out more about the continued future as a brand tomorrow. 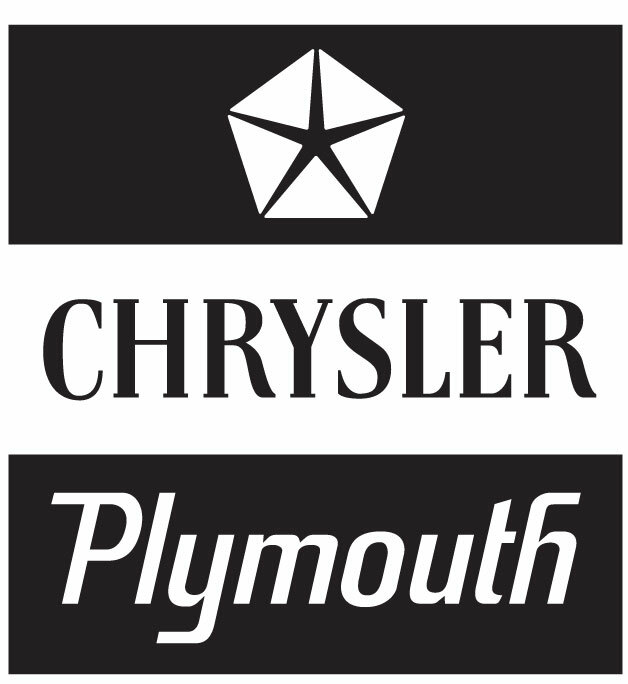 The Chrysler Pentastar — a logo that has appeared all over the Chrysler Corporation material since 1963 — officially got its pink slip. With the move to FCA — Fiat Chrysler Automobiles — the Pentastar has apparently outlived its usefulness. Here’s a history of the Pentastar’s heritage. 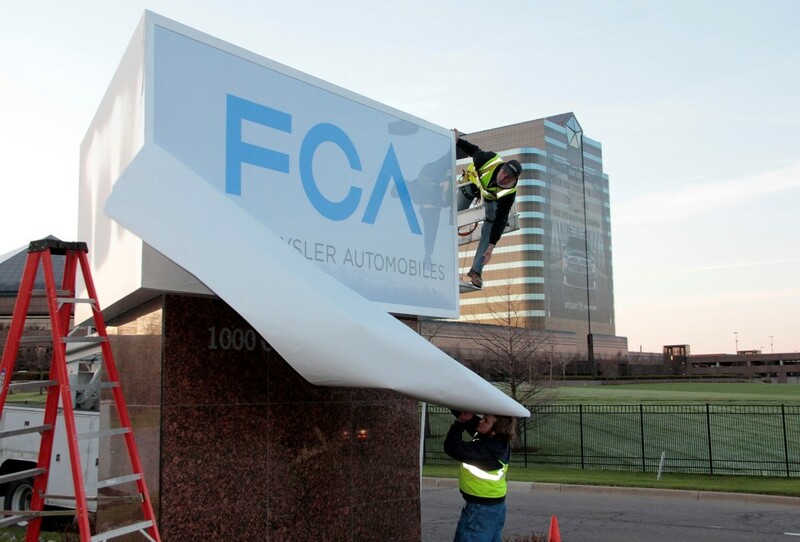 The move to the new corporate logo — a slightly stylized version of the FCA acronym with the crossbar in the A removed — has been ongoing since May when the official new logo appeared at the headquarters. Ever since, it’s been disappearing from everything related to the company. 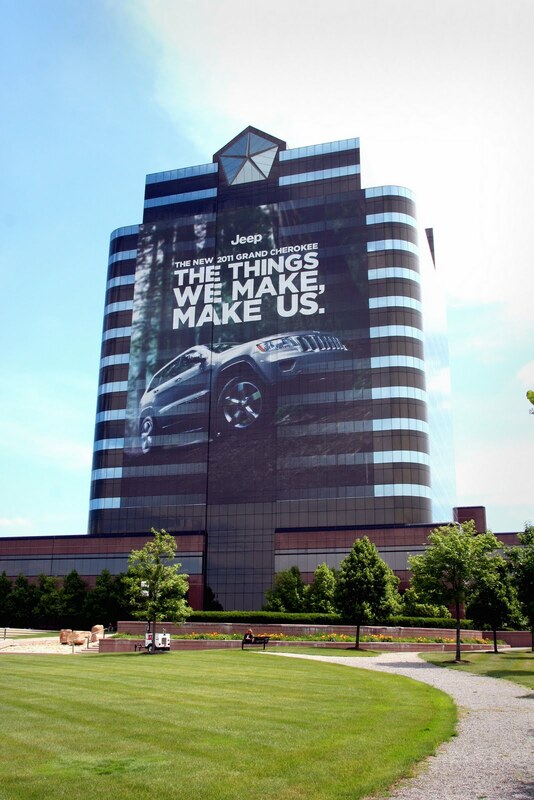 This week, FCA was listed on the New York Stock Exchange under the new logo, and even its corporate news blog — which used to be called “Under the Pentastar” — is now operating under another name. 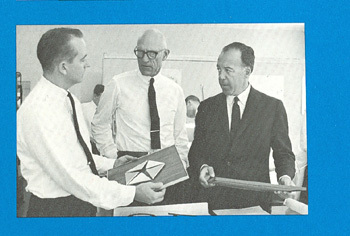 Robert Stanley (left), holding the new Pentastar back in 1962, with Lippincott & Margulies CEO Chairman Gordon Lippincott (middle) and L&M President Walter Margulies (right). “We wanted something simple, a classic, dynamic but stable shape for a mark that would lend itself to a highly designed, styled product. What that meant, basically, was a classic geometric form. “We wanted something that was not stolid. That’s the reason that we broke up the pentagonal form that became the Pentastar. It provides a certain tension and a dynamic quality. One of the execs called me up and asked, ‘What do I call this thing?’ And I said, ‘Call it the Pentastar.’ That’s where the name came from. 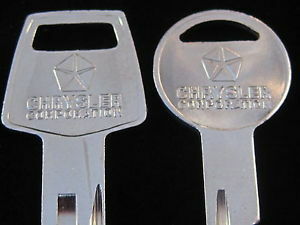 The Chrysler Pentastar appeared everywhere on Dodge, Chrysler and Plymouth vehicles, in owner’s manuals, on door glass, on the very keys used to start the cars, and on its headquarters. The new logo is decidedly more…er…Helvetica? Vaya con dios, Pentastar. You’ve served the brand and the corporation well for 51 years. 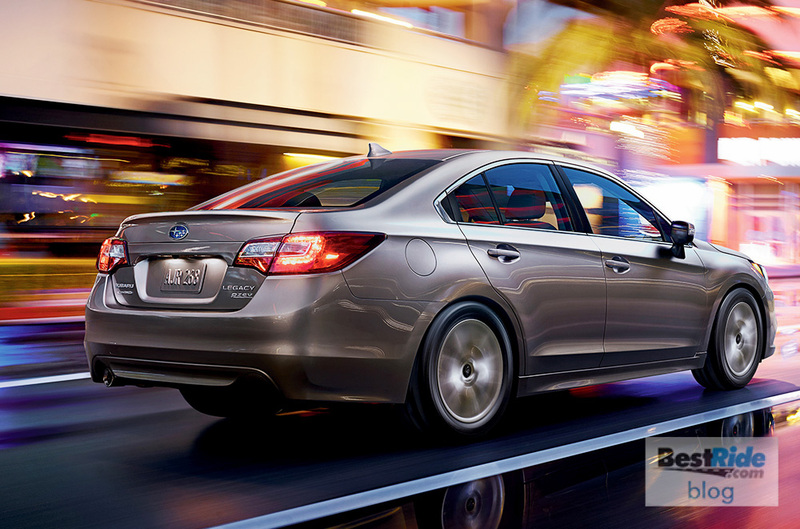 Short Drivers: What Do You Look For When Buying a Vehicle? chrysler spent billions on trademark worth heritage , good will and excellence in engineering and construction , hey lets just throw that all away ! another nail in chryslers coffin ! How about first learning to build cars that are high quality and profitable, and sell well? Then you don’t have to sell out to Fiat and you don’t have to reminisce in good ol’ day 50 years ago..
No way . 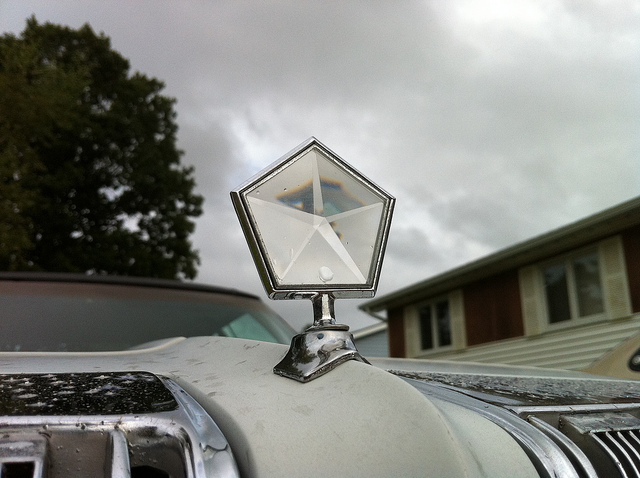 The chrysler star has always been a outstanding symbol like the ford blue oval . To eliminate the pentastar is eliminating chrysler tradition ! Will the Italian flag be its replacement? Things like this are why I only buy old vehicles. Don’t mess with what works, your just shooting yourselves in the foot Chrysler. Just like calling the trucks ‘Ram’ instead of Dodge, talk about IDIOTS! Being associated with ‘fiat’ is right up there with Yugo… Wish they had just let the REAL Chrysler Corporation die with dignity.